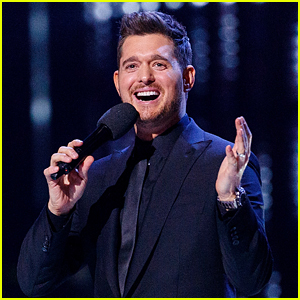 Michael Buble is ready to leave his music career behind and focus on his family. The 43-year-old singer will be dropping his 10th studio album, Love, on November 16 and he says that it will be his last. “I decided I’ll never read my name again in print, never read a review, and I never have. I decided I’d never use social media again, and I never have,” Michael said. “It’s been such a difficult exercise. But my whole being’s changed. My perception of life. I don’t know if I can even get through this conversation without crying. And I’ve never lost control of my emotions in public,” he added. Leighton Meester Sings Cover of 'Blue Christmas' with Her BFF! Did Beyoncé And Jay Z Secretly Separate For A Year Because Of Rihanna Cheating Rumors?! Jude Law Hits Up Coachella with His Girlfriend & Kids!